I recently got my sample from Kyoto Direct. 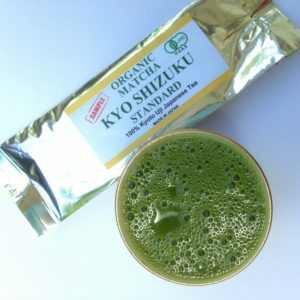 The product is called Kyo Shizuku Organic Matcha from Japan. I want to share how this matcha is different from the rest. First, it is an organic matcha. 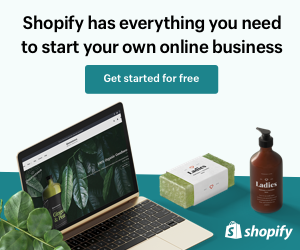 They have different kinds as what you can see on the images. Standard, Premium, Deluxe, High Grade and Supreme. Let me tell you the differences of each kind. 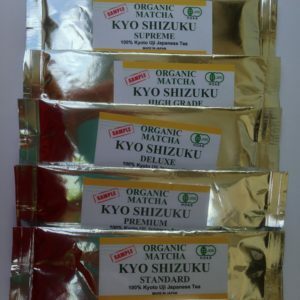 Kyo Shizuku Standard Matcha, a good Usucha tea great for everyday drink and practice ceremony. I like the smell when I open the sachet. I made a simpe matcha shot and whisk it for a minute. I was not impress with the taste. The astringency of the matcha is strong. It was too organic for my taste. I would give it a rating of 6/10. 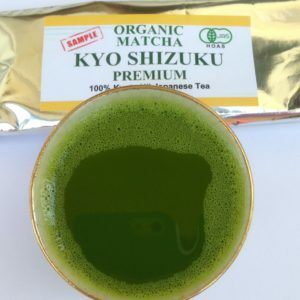 Kyo Shizuku Premium Matcha, one of the best tasting matcha from the product line. It smells so good and fresh. After the product pictorial, I drink it all up. The taste was sweet and there is less astringency. It has a rich texture to it. I would rate it 10/10. 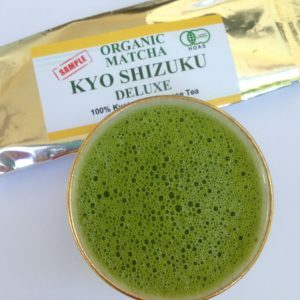 Kyo Shizuku Deluxe Matcha, this matcha is strong. The texture, after I whisk, become smooth and creamy. I love the texture. What I did not like about this type is the strong after taste and its leaves a slight bitter taste on my tongue. I would rate it 8/10. 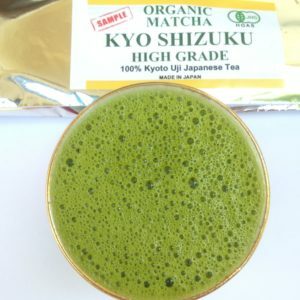 Kyo Shizuku High Grade Matcha, this tea is great for tea ceremony practice. It is slightly sweet with medium astringency levels. It has a strong after taste which I did not drink it all up. I would rate it 8/10. 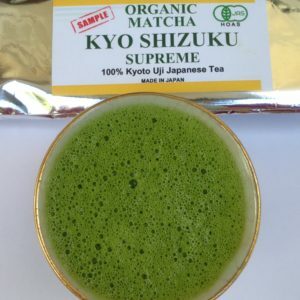 Kyo Shizuku Supreme Matcha. I have high expectations for this tea. It fell short once I taste it. The tea is bold and aromatic. It has strong finish and have medium astringency levels. The texture is smooth. I would recommend this for tea ceremony. Not my favorite kind. I would rate this teafrom Kyoto Direct 8/10. The rating use in this post where 1 means poor and 10 means good.